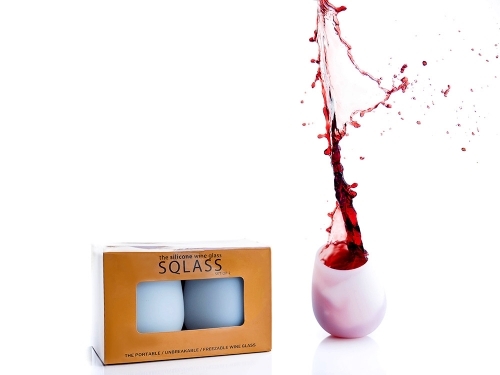 Sqlass is the Portable / Unbreakable / Freezable Wine Glass! Trade in those old fashioned stemmed wine glasses for Sqlasses the Silicone Wine Glasses. Grannie won’t feel a thing when she gets caught in the crossfire with these glasses, and you’ll save money. It’s perfect for camping trips, a beach rendezvous, the pool and those romantic nights of passion. Comes in a Set of 2. - The Ultimate in Sophsquishtication! Just like many of the starlets in Hollywood, you can have as much fun as you want squeezing the silicone. The frame is strong enough to keep your wine safe from spilling, but has enough give to not have to worry about it collapsing every time you pick it up. It’s the perfect glass for all occasions. 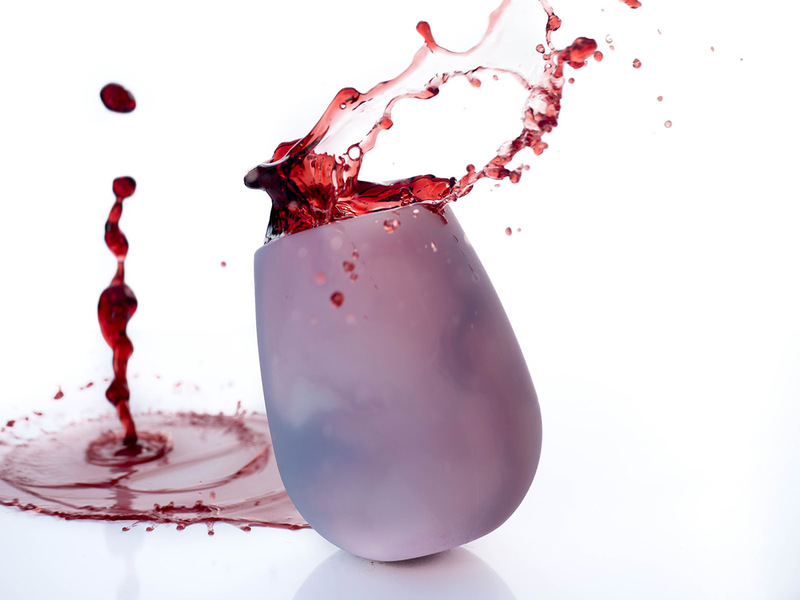 Who Would Love Our Unbreakable Silicone Wine Glasses? This is the perfect gift for those clumsy friends and relatives in your life. You know, the ones that leave a path of destruction in their wakes? Unbreakable Silicone Wine Glasses are also great for anyone that enjoys late night adventures, but doesn’t want to worry about fallen glasses. It’s perfect for frat parties or anywhere else that people may get a little tipsy. Does it have to be wine? Of course not, any beverage will do. The Unbreakable Silicone Wine Glasses have a unique, yet distinctive style that goes beyond simple wine glasses. A glass of pop or some bourbon on the rocks would look great in one of these glasses. Is it good for someone with anger management issues? So, you’ve lost more than a few cups to your fiery temper after a tumultuous sporting event? If you have a tendency to toss things when you blow your top, then this is perfect. You’re keeping not only your glasses safe, but anyone in the path of it as well.